Come to the West Country this half-term to do the monster mash. Bake your bogey buns to treat the little ones, let your artistic side go grisly with a pumpkin and don’t forget to pack those creepy costumes for a haunting holiday. Many attractions are bringing their Halloween events forward to coincide with the school holiday and there’s a whole lot of spine-chilling fun and frightening going on. Here are a few we’re flying off to with knee-trembling trepidation, but wherever you rattle your bones this half-term there will be something spooky afoot to curdle your blood. With its fluffy animal cuteness, this is a good one for those of us easily spooked into hysteria. 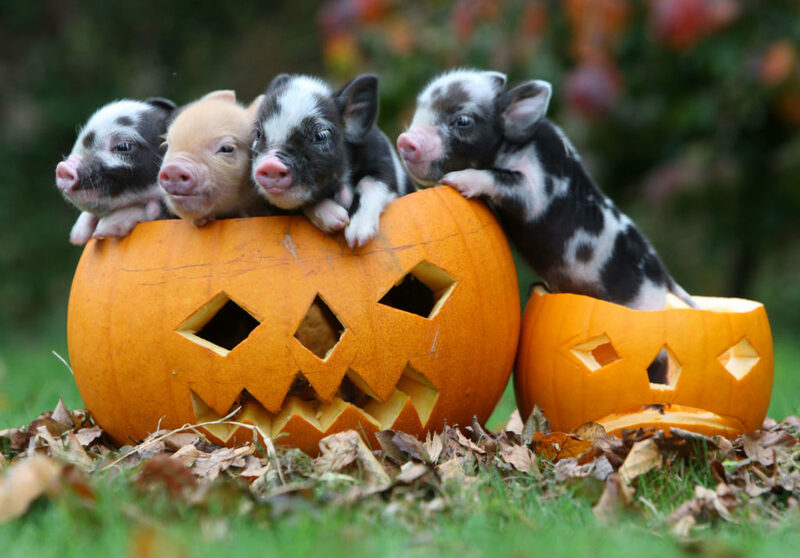 With the miniature piglets and all the other adorable Pennywell animals waiting for a cuddle, it’s all treats and no tricks at the much loved family attraction. There are farm rides, a show every half hour and very happy children. A fairly tough four mile route starting from Kingswear and following the South West Coast Path around Coleton Fishacre and Froward Point, this is a brilliant event for adults, teenagers and dogs on leads. Carry your own flaming torch and hope for panoramic moonlit views of Torbay, South Devon and Dartmoor. Don’t forget to sign up for the Challenge. 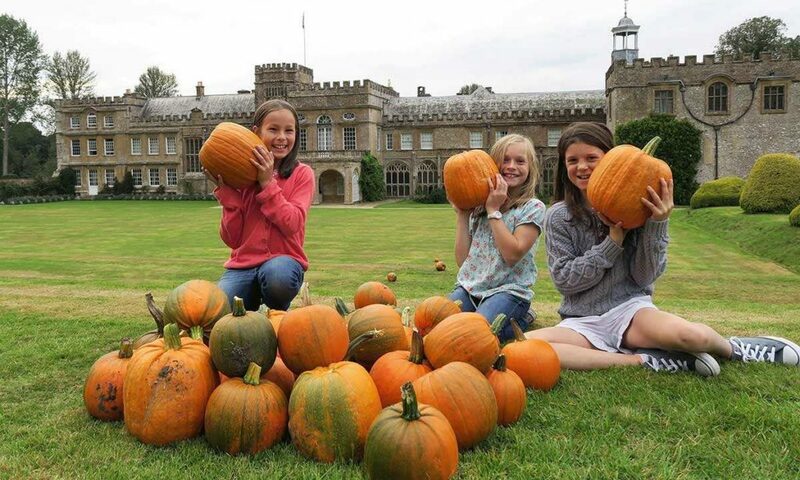 Watch the potion making shows in the Old Riding School, eyeball the birds of prey in the castle courtyard, follow the trail around the grounds and feast on pumpkin soup in the cafe. 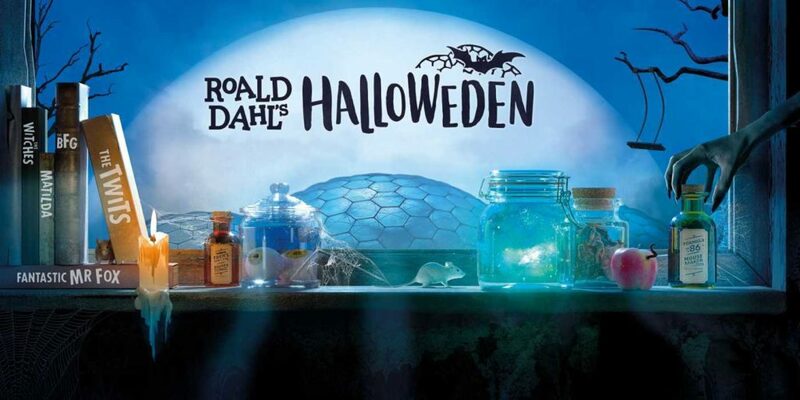 On the last weekend, watch chillers like Hotel Transylvania and The Shining at the Movie Marathon and on All Hallows’ Eve or the night before you can even wander around the castle when the staff have left and noone’s around… or are they? 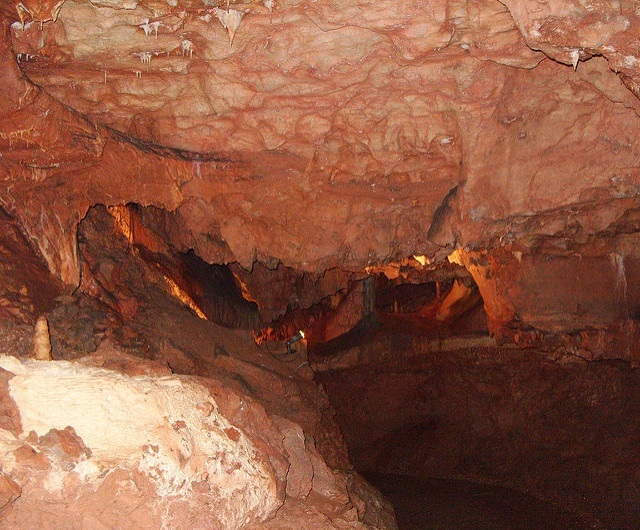 These eerie underground caves come into their own at Halloween, with cave tours, the Witch’s Hat joke trail, Spooky Dig and the Underground Pumpkin Hunt. Follow the storyteller as they unearth local folklore about ghostly experiences in South Devon by dim lighting and candles, but beware… you never know who may appear from the dark. This is a lovely place to stop off if you’re travelling through Devon to Cornwall, within easy reach of the A30 and serving great home cooked food (with a pumpkin themed menu), as well as an opportunity to fill your basket with delicious fresh produce for your holiday. This Halloween you can pick your own pumpkins, carve them and take a mysterious trailer ride, though watch out for Spookley the Square Pumpkin! On All Hallows’ Eve there’s a firework display and hog roast in aid of Children in Need. Snap up these half-term gems: Ash Park (sleeps 14), Wolston Cottage (sleeps 3) or The Bothy for two. Pit your wits against villains from Dahl’s books and beware or you may find yourself in Miss Trunchbull’s Chokey, being chased by Boggis, Bunce and Bean or pranked by The Twits. If you manage to escape, head for a spin on the popular ice rink and of course you can’t miss the leafy biomes. The family theme park is always full of thrills, but this half-term it gets even better with spine-tingling rides and a spooky pumpkin trail in the creepy Victorian Village throughout the day and fireworks lighting up the sky in the evening with an Olly Murs tribute. The Pumpkin Trail is available from the 21st to 27th October. Join Florence Nightingale Richards, the eccentric Victorian Keeper of the Castle Keys, on a story-telling journey through the history and legends of mysterious Tintagel Castle. Her tales come to life with colourful characters and some fun audience participation. Another fascinating English Heritage site, but beware the spirit of Henry VIII within his coastal fortress. 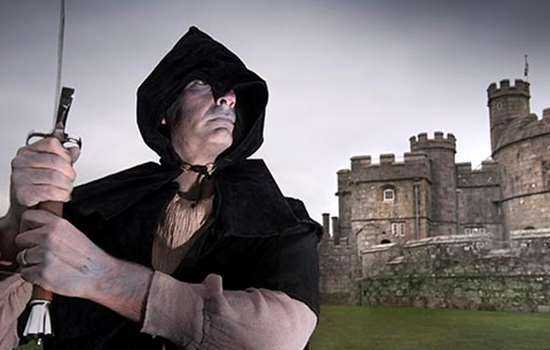 Take the eerie evening tour for an after-hours journey back into the castle’s creepy past and relive tales of ghostly apparitions and dastardly deeds. Not suitable for the faint hearted! Some (not at all creepy) Cornish cottages for half-term fun: 1 Rose Cottages for 6, Venwyn Manor for 5 and Susannas Apartment, 1 The Brass Bolt Shop and Stones Throw for 4. The National Trust hilltop castle at Dunster is always atmospheric, but this Halloween it has the added bonus of spooky clues to guide you on a trail round the grounds, with the bonus of a prize at the end. 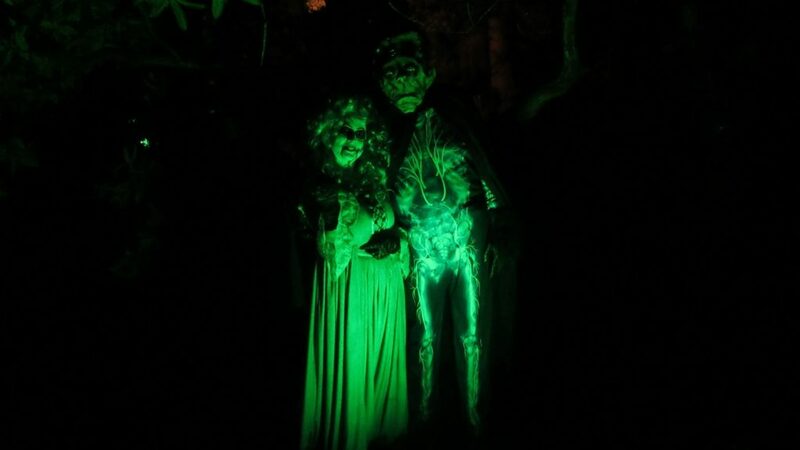 It all gets a bit spookier at dusk when the After Dark trail takes you through the river gardens, or come for the best event of all on 28th or 31st October when a guide will regale you with tales of castle ghosts through the candlelit rooms. 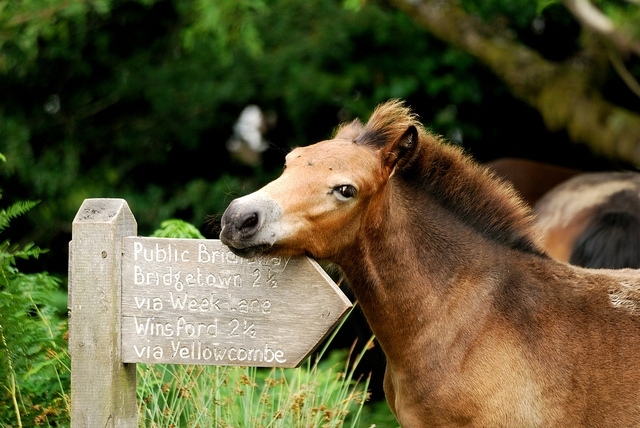 Go along to the Exmoor Pony Centre between 12pm and 3pm to meet the beautiful Exmoor ponies and follow the Halloween trail too. You can groom the ponies, maybe have a ride, make crafts and earn a treat for completing the trail. If you’re a crowd, head for a half-term to remember at Porlock Vale House (sleeps 15), or a more peaceful stay at Quiet Corner Cottage. Be very afraid… witches, ghosts and zombies are coming to Lyme and it’s going to get messy. There’s a week of scary events around the town including a whodunnit town trail, beastly baking, creepy crafts and the fiendish slime fun run with four Halloween obstacles and challenges along the seafront for all the family. 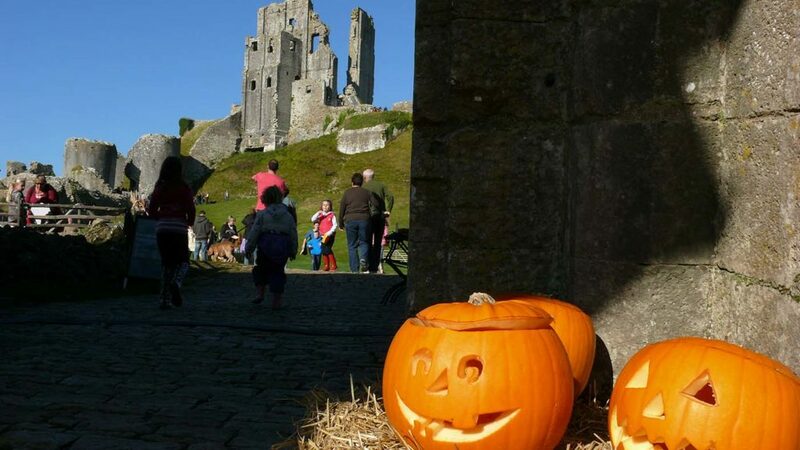 There’s a spine-tingling week of Halloween fun in the grounds of the 900 year old Abbey, with a haunted trail, pumpkin rolling and family activities to get your pulse racing. It’s a beautiful time of year to explore the gardens and enjoy something warming in the tea room. Abbotsbury Subtropical Gardens are beautiful in the daytime, but illuminated by coloured lights between 4.30pm and 8.30pm during half-term they are truly magical – and a little bit mysterious. The family fright nights bring you the tunnel of terror, the Ghastly Gardener hiding in the garden, spiders and snakes shows where you can handle the fearsome creatures if you dare and free face painting. Bring your teddy to the ancient ruins for a bit of comfort, but squeeze him tight or he may be whisked away down the scary zip wire challenge. Dodge the lurking pumpkins and witness the mighty Warwolf II, the castle trebuchet, flinging medieval terror at 11.30am and 2pm. For something a little more serene, why not take a bat detector and head out on a clear night for some conversation with our winged friends? Children are thrilled to hear the high frequency clicks and spot a shadow flitting overhead and until the end of October the Devon Greater Horseshoe Bat Project is lending detectors. If you’re staying in Devon they just ask that you share your encounters for their survey helping the Greater Horseshoe Bats to survive. Head to Medlake Farm for Halloween week, a gorgeous historic Devon longhouse where bats have made their home in the disused farmyard.